The current show, Staging Architecture, presents the analog photo series "Architectural Sites" produced between 1984 and 1987 in dialog with her new, site-specific film installation "Sideways / Corner". Space as a stage of a changing reality is the central motif of Barbara Kasten's photographs and film installations. Her artworks are included in collections of, among others, Centre Pompidou, Tate Modern London, and the Museum of Modern Art in New York. 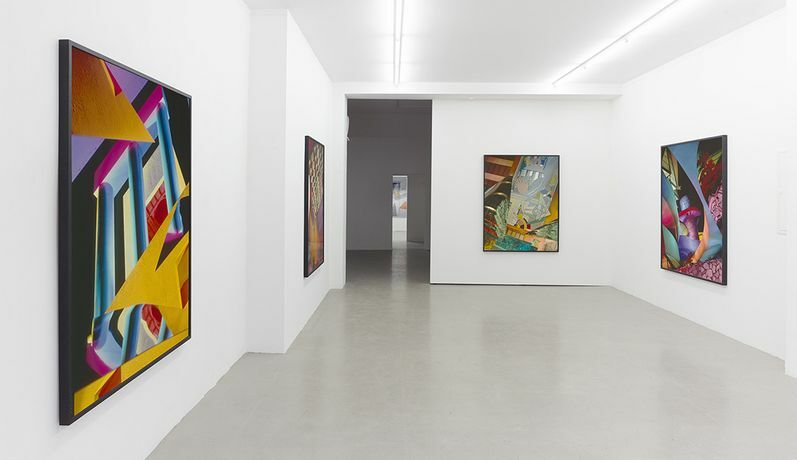 In 2015 The Institute of Contemporary Art in Philadelphia presented "Barbara Kasten: Stages", curated by Alex Klein. The exhibition has been on view at the Graham Foundation Chicago and will continue to be shown at the Museum of Contemporary Art Los Angeles Pacific Design Center in May 2016. Barbara Kasten's works are produced in an "interdisciplinary performance" between photography, sculpture, architecture, and painting. Since the 1970s, Barbara Kasten has been constructing expansive installations made of architectural "props" such as glass, mirrors, or metal constructions in front of the camera for her abstract "photographs". These theatrical arrangements are restaged with colored light, an approach going back to Barbara Kasten's roots as a painter and sculptor. During her sojourn in Germany in the 1960s, she intensively engaged with the Bauhaus and Modernism's notions of space, stage, and architecture. While living in Los Angeles in the early 1970s, the WLight and Space Movement" had an influence on her subsequent work. Barbara Kasten's cross-genre practice, her continued use of analog photographic materials and her "pre-digital vision" heralding the digital image vocabulary as of Photoshop or 3D rendering influenced a new generation of contemporary artists. The current show, Staging Architecture, presents the analog photo series "Architectural Sites" produced between 1984 and 1987. Her new, site-specific film installation "Sideways / Corner" is placed in a dialog with it. 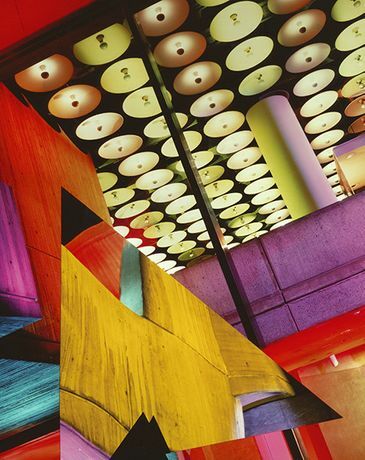 With the "Architectural Sites", Barbara Kasten expands her art from studio photography to public space. The motifs are meta-sites of financial and cultural exchange, such as the World Financial Center or the Whitney Museum in New York. From our present-day, digital mode of perception, it is at first difficult to grasp how these large-format works were created. Each picture is the result of meticulous preparation. 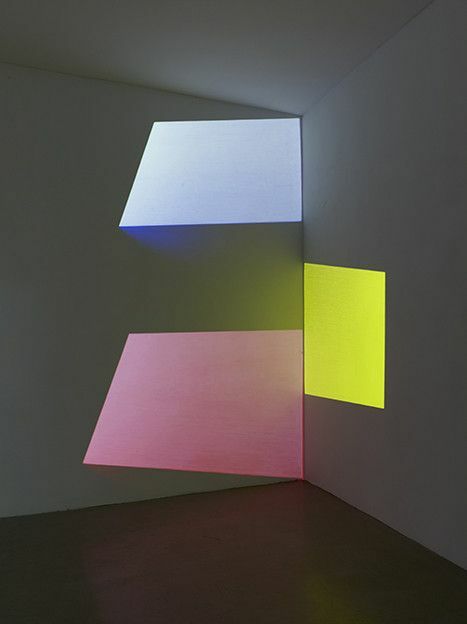 Adhering to the cinematic process, Barbara Kasten directed a crew of professional lightning technicians to use color gels to carefully illuminate the postmodern architecture and her installations of large-scale mirrors placed within the frame of the image. The production was planned months in advance with research, sketches and test shoots before the final recording on 4x5 film. Color art photography was completely new in the 1980s, having originated for product and advertising advertising photography. In Kastens compositions, the foreground and background merge to an abstract, painterly surface, intensified by the color of the large-format cibachrome prints. Instead of staging the postmodern architecture, the "Architectural Sites" turn space into a mise-en-scène to restage an autonomous illusion. Barbara Kasten's performative photography presents external reality as a construction of the individual point of view. The site-specific film installation "Sideways / Corner" transfers this approach to the real architecture of the gallery space. The existing architecture dissolves in an interplay with the actual space as the viewer witnesses the change. Referring to her trip through 1960s Europe, Barbara Kasten describes architecture as reality and illusion in the following way: "In this new environment it became clear to me that architecture could embody changes in thought and belief, bearing witness to both human atrocities and utopian aspirations."